Neuropsychopharmacology is a relatively new subject area in the neurosciences. It is a field of study that describes the effects of drugs from the molecular to the behavioural level and requires integration and synthesis of knowledge from various disciplines including neuroanatomy, physiology, molecular biology, pharmacology and the behavioural sciences. 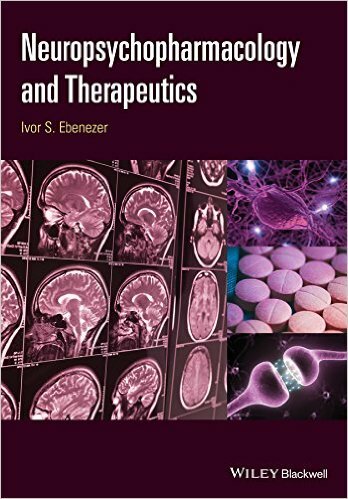 The principal aims of this book are to provide students with a clear understanding of CNS disorders, and an appreciation of how basic and clinical research findings can be translated into therapeutics. After an introduction to the subject area, the remaining chapters are focused on reviewing the main psychiatric and neurological disorders that are covered in most courses. They are discussed in terms of their clinical symptoms, epidemiology, pathology, aetiology, underlying neurobiological and neurochemical mechanisms, pharmacotherapy, adjunctive non–pharmacological treatments, and clinical outcomes. Each chapter of the book is a stand–alone chapter and is written in a clear, accessible style. 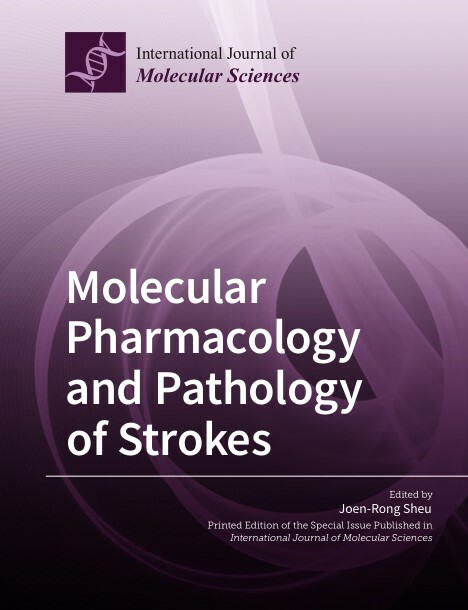 Written by an author with many years teaching and research experience, this textbook will prove invaluable for students of pharmacology, pharmacy and the medical sciences needing a truly integrated introduction to this exciting field. Intelligent data analysis, data mining and knowledge discovery in databases have recently gained the attention of a large number of researchers and practitioners. This is witnessed by the rapidly increasing number of submissions and participants at related conferences and workshops, by the emergence of new journals in this area (e.g., Data Mining and Knowledge Discovery, Intelligent Data Analysis, etc. ), and by the increasing number of new applications in this field. In our view, the awareness of these challenging research fields and emerging technologies has been much larger in industry than in medicine and pharmacology. 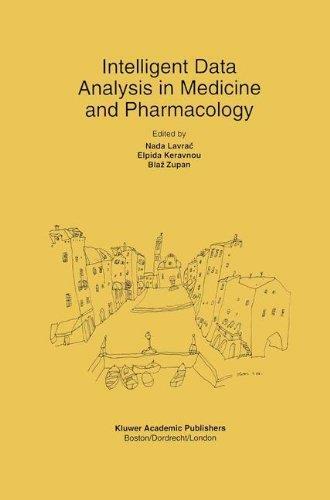 The main purpose of this book is to present the various techniques and methods that are available for intelligent data analysis in medicine and pharmacology, and to present case studies of their application. Intelligent Data Analysis in Medicine and Pharmacology consists of selected (and thoroughly revised) papers presented at the First International Workshop on Intelligent Data Analysis in Medicine and Pharmacology (IDAMAP-96) held in Budapest in August 1996 as part of the 12th European Conference on Artificial Intelligence (ECAI-96), IDAMAP-96 was organized with the motivation to gather scientists and practitioners interested in computational data analysis methods applied to medicine and pharmacology, aimed at narrowing the increasing gap between excessive amounts of data stored in medical and pharmacological databases on the one hand, and the interpretation, understanding and effective use of stored data on the other hand. Besides the revised Workshop papers, the book contains a selection of contributions by invited authors. 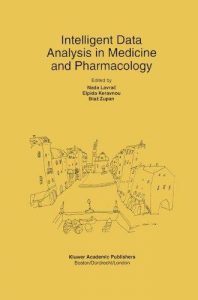 The expected readership of the book is researchers and practitioners interested in intelligent data analysis, data mining, and knowledge discovery in databases, particularly those who are interested in using these technologies in medicine and pharmacology. Researchers and students in artificial intelligence and statistics should find this book of interest as well. Finally, much of the presented material will be interesting to physicians and pharmacologists challenged by new computational technologies, or simply in need of effectively utilizing the overwhelming volumes of data collected as a result of improved computer support in their daily professional practice. Stroke, an important neurological disease, is becoming an increasingly non-communicable ailment and is the second leading cause of death after coronary heart disease in developed countries . Present treatment options for stroke are adapting lifestyle practice, diabetes treatment, drugs, and other factors management, but no cure is yet available, despite new insights into the molecular and therapeutic targets. Pharmaceutical Science is one such realm of novel thoughts translating into technologies to improve the quality of life. In the vicinity of Pharmaceutical Science, preparation and dispensing of pharmaceutical products has occupied a vast space. Hence, attempt has been made to delve further into the subject of dispensing pharmacy with certain products of significance to the undergraduate students of pharmacy. This book may also be a helping hand for the postgraduate students and other readers. This book consists of 60 numbers of practicals. Every single practical is designed and represented such a way so that the student’s fraternity can understand the real objective behind the practical. The detailed theory of practicals will enlighten the students with facts and the science behind it. The book contains compendia and extemporaneous products dispensing with suitable labeling, packaging and storage instructions. The book also contains the precaution that need to be exercised during compounding of such products. 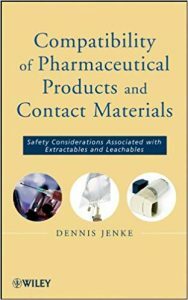 This book is supported by appendices containing commonly used Latin terms used in prescriptions, dosage calculation and containers & labeling instructions. At the end of every practical few important questions are provided for student’s ready reference. 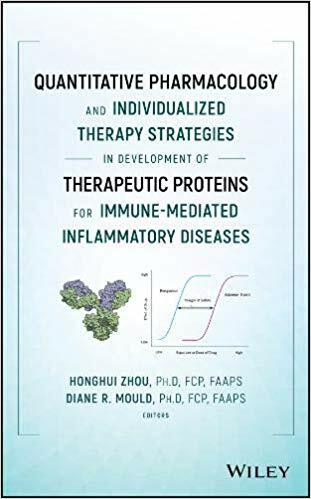 With increasing numbers of patients suffering from Immune-Mediated Inflammatory Diseases (IMIDs), and with the increasing reliance on biopharmaceuticals to treat them, it is imperative that researchers and medical practitioners have a thorough understanding of the absorption, distribution, metabolism and excretion (ADME) of therapeutic proteins as well as translational pharmacokinetic/pharmacodynamic (PK/PD) modeling for them. This comprehensive volume answers that need to be addressed. 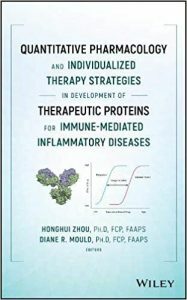 Zhou and Mould’s timely contribution to the critical study of biopharmaceuticals is a valuable resource for any academic and industry researcher working in pharmacokinetics, pharmacology, biochemistry, or biotechnology as well as the many clinicians seeking the safest and most effective treatments for patients dealing with chronic immune disorders. Early anthropological evidence for plant use as medicine is 60,000 years old as reported from the Neanderthal grave in Iraq. The importance of plants as medicine is further supported by archeological evidence from Asia and the Middle East. Today, around 1.4 billion people in South Asia alone have no access to modern health care, and rely instead on traditional medicine to alleviate various symptoms. On a global basis, approximately 50 to 80 thousand plant species are used either natively or as pharmaceutical derivatives for life-threatening conditions that include diabetes, hypertension and cancers. As the demand for plant-based medicine rises, there is an unmet need to investigate the quality, safety and efficacy of these herbals by the “scientific methods”. Current research on drug discovery from medicinal plants involves a multifaceted approach combining botanical, phytochemical, analytical, and molecular techniques. For instance, high throughput robotic screens have been developed by industry; it is now possible to carry out 50,000 tests per day in the search for compounds which act on a key enzyme or a subset of receptors. This and other bioassays thus offer hope that one may eventually identify compounds for treating a variety of diseases or conditions. However, drug development from natural products is not without its problems. Frequent challenges encountered include the procurement of raw materials, the selection and implementation of appropriate high-throughput bioassays, and the scaling-up of preparative procedures. Research scientists should therefore arm themselves with the right tools and knowledge in order to harness the vast potentials of plant-based therapeutics. The main objective of Plant and Human Health is to serve as a comprehensive guide for this endeavor. Volume 1 highlights how humans from specific areas or cultures use indigenous plants. Despite technological developments, herbal drugs still occupy a preferential place in a majority of the population in the third world and have slowly taken roots as alternative medicine in the West. The integration of modern science with traditional uses of herbal drugs is important for our understanding of this ethnobotanical relationship. 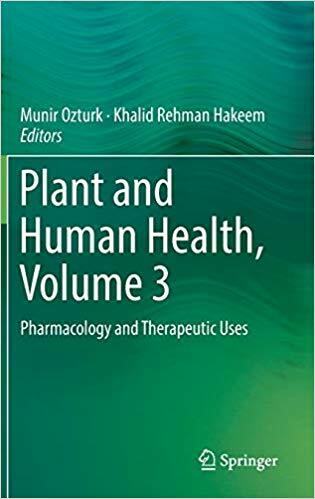 Volume 2 deals with the phytochemical and molecular characterization of herbal medicine. Specifically, it will focus on the secondary metabolic compounds which afford protection against diseases. 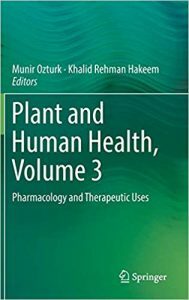 Lastly, Volume 3 focuses on the physiological mechanisms by which the active ingredients of medicinal plants serve to improve human health. Together this three-volume collection intends to bridge the gap for herbalists, traditional and modern medical practitioners, and students and researchers in botany and horticulture. 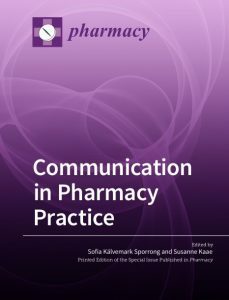 This reprint book ‘Communication in Pharmacy Practice’ is launched to help improve communication practices by increasing knowledge of different aspects of communication in pharmacy practice. 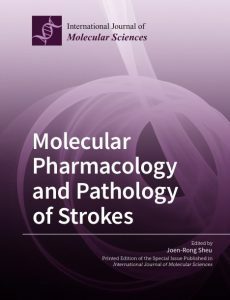 The book consists of recently published research articles and illustrates that pharmacy communication is a research subject that is investigated globally and from many perspectives. 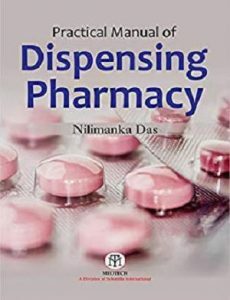 The overall pharmacy communicational themes investigated and discussed in this book are as follows: Communication between health care professionals; communication between pharmacists and patients in the context of both prescription and over-the-counter (OTC) medicines; and factors impacting communication. 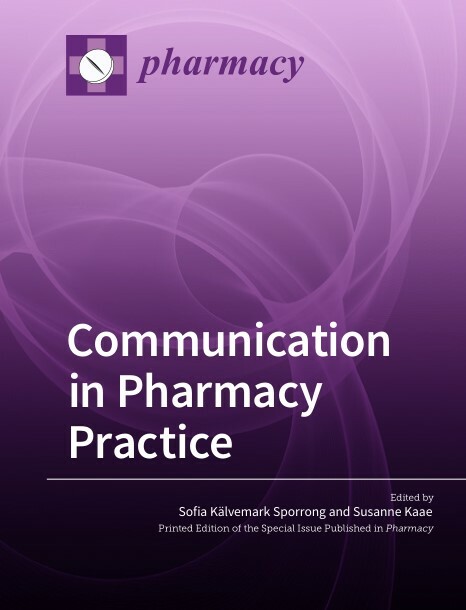 There are many challenges for communication in pharmacy practice today, and several are highlighted in this book. A central conclusion to the research contributions of several of the authors is the specific need to further develop direct, face-to-face communication between pharmacy staff and patients/consumers including tools to better address patient’s needs. Considerable investment has been made by both pharmaceutical and biotechnology companies in pharmaceutical products of biotechnology. However, because relatively few of these products have been marketed, lack of relevant experience means that uncertainty still surrounds the most appropriate strategy for their safety evaluation. The 13th CMR International Workshop, held in February 1997, provided the opportunity for regulatory authority and industry experts from Europe, Japan and the USA to share their experiences of designing safety evaluation programmes for specific product classes: colony stimulating factors, growth factors, hormones, interferons, interleukins, monoclonal antibodies for therapeutic use, and gene therapy products. Participants worked together to recommend those studies that should be considered for such safety evaluation, and those that may be unnecessary. 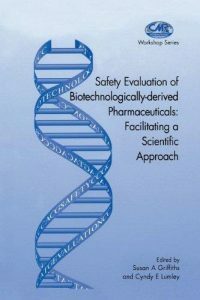 These recommendations subsequently made a valuable contribution to the ICH guideline `Safety Studies for Biotechnological Products’, which was finalised at ICH 4 in Brussels in July 1997. The Workshop proceedings not only describe the recommendations but also provide the reader with an appreciation of the science behind safety evaluation strategies used by experts, the influence of different regulatory systems on these strategies, and the type of data required by both toxicologists and clinicians before they have sufficient confidence to administer pharmaceutical products of biotechnology to humans. It is a great pleasure to write the foreword to this important volume for several reasons. First: As far as we know, already primitive societies had to cope with environmental toxins of many kinds and set up regulations to limit their effects on food and drug use. Modem science, synthesizing tens of millions of new compounds has incredibly magnified this challenge. Today, xenobiotic metabolism has become a crucial task for humans and many other species alike. 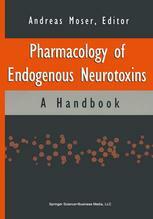 Second: When reading this book, one is impressed by the extraordinary speed at which neurotoxicology has advanced. Obviously, processing (and endogenous formation) oftox­ ins has become an extremely relevant topic. When I had the chance, almost three decades ago, to work in chemical pharmacology with Bernard B. Brodie at NIH, the drug metabo­ lizing system of the liver had just been recognized and characterized. We had just started to work on the biogenic amines, newly discovered cyclic nucleotides in rat brain, human cere­ brospinal fluid, and on the effects of toxic drugs like amphetamines. Today, biochemical neuropharmacology is a mature field of neuroscience.